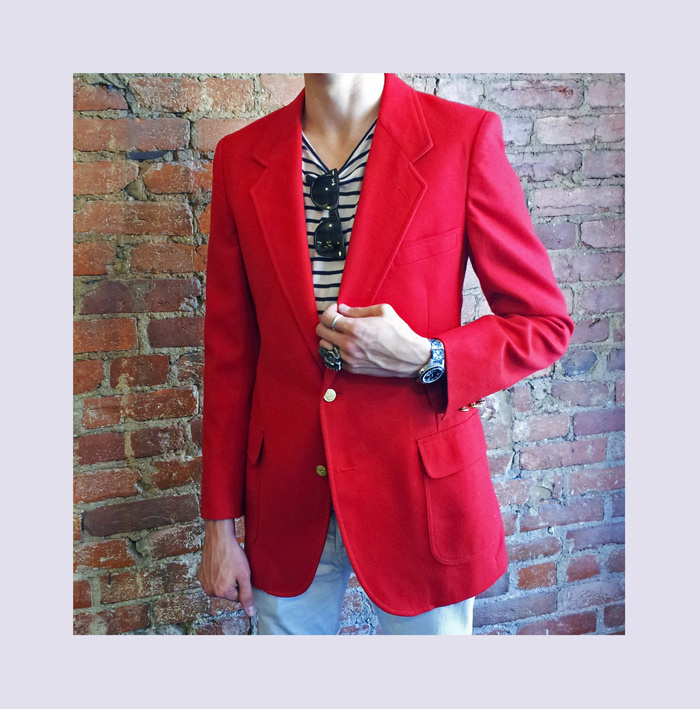 This is a perfect example of a great vintage blazer with potential! It needed a bit of tailoring (including a shoulder reset) but was well worth it. 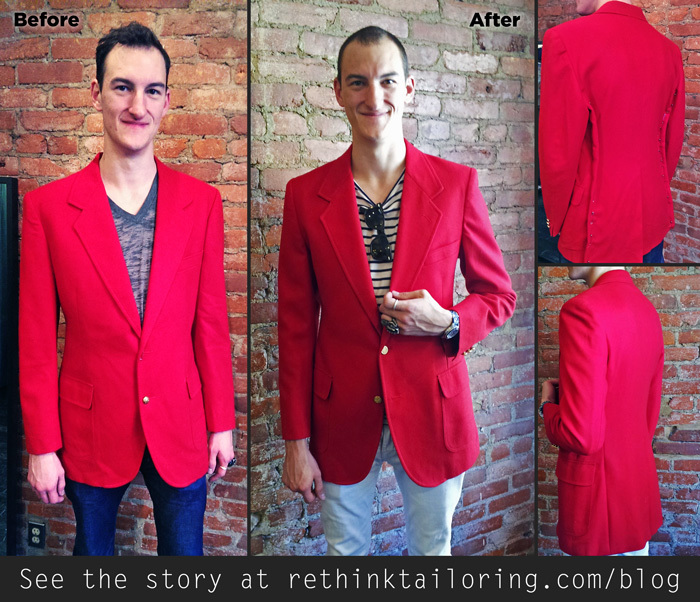 And now Blake has a perfect red layer to sport around town!